So last night I jumped on CSGO to do a Bloodhound Mission, I haven’t played much CSGO over the last few days. After a few games of casual I was struggling to get into the game, I decided just to try my luck on the Mission anyway. The Mission was to win 8 rounds on Mirage, We lost but only by 1 point and it was a great competitive match with great comms throughout and smart plays on both teams. After the match I won a Breakout case which gave me 5 mixed cases in total, as it was pay day I put £10 into steam and tried my Luck. I had the best luck ever with 4 of the 5 being great weapons and I actually dropped my first knife. 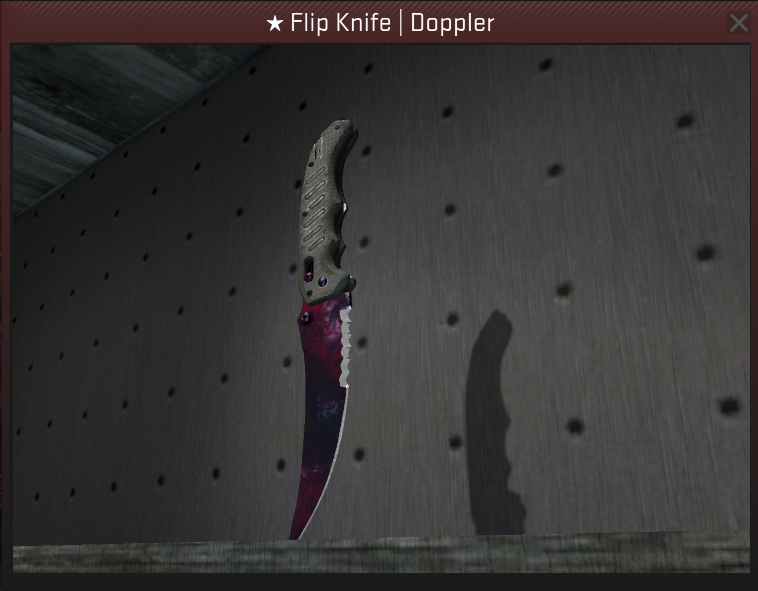 The knife I got was a Flip Knife Doppler – Factory new and worth around £100 (If I would ever sell it). I still cant believe my luck, I didn’t think I would drop a knife was hoping for maybe a Red but never a Knife. She’s a beauty, I’m thinking about buying a name tag for her but not sure I want mess with it too much.